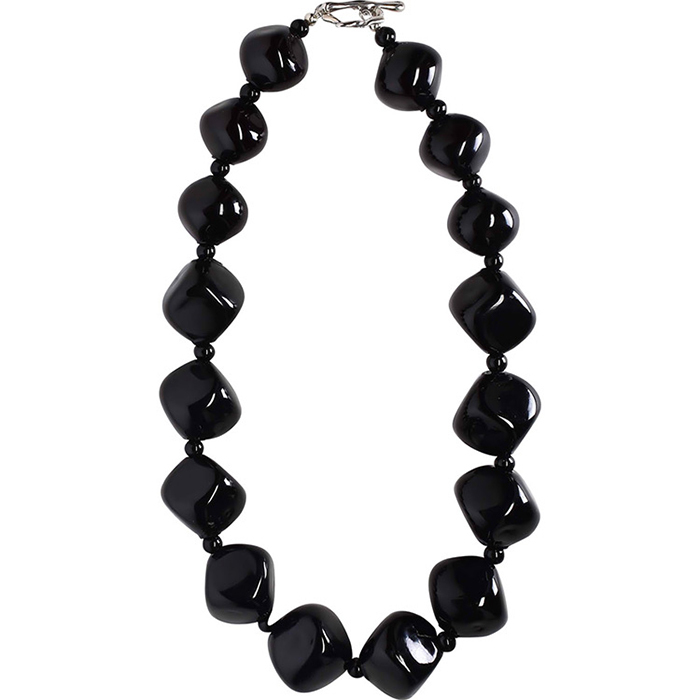 Classic Venetian necklace featuring mouthblown Black Murano Glass Beads graduated sizes . The length is approximately 18 Inches and is closed with a sterling silver toggle clasp. Our Mouth blown Murano Glass beads are lightweight giving you the benefit of large beads without the weight. If you need a longer length, please contact us as the beads are blown in Murano and we design/assemble the jewelry here in our own laboratory, we can adjust for you.